Alcohol use disorder (AUD), more commonly referred to as alcoholism, affects nearly 18 million Americans, according to the National Institute on Alcohol Abuse and Alcoholism. How severe the disorder is and how difficult it is to stop using alcohol depends on many different factors, including life situations, support systems (or lack thereof), age, gender, specific habits, and so on. Many experts believe that there is also a genetic component to the disorder. Multiple genes play a factor in an individual’s risk of developing alcohol use disorder. How quickly and effectively someone metabolizes alcohol, for example, alters how alcohol affects the body and how rapidly a tolerance will develop. Researchers have found that some people of Asian descent have a specific gene that causes them to experience nausea and rapid heartbeat any time they drink. Because of these unpleasant symptoms, these individuals may be likely to avoid drinking and rarely suffer from AUD even if they have afflicted family members. A common discussion among psychologists is whether nature (a person’s genetics) or nurture (the environment in which a person is raised) plays a bigger role in how an individual turns out. What most have found is that nature and nurture interact in innumerable ways. Latent genes can be activated by certain environmental factors like stress, and genetic personality traits affect the way a child is treated by caretakers. This explains why some people who are genetically predisposed to AUD never develop it even with regular alcohol use and why others who have no family members with the disorder end up with a serious addiction. 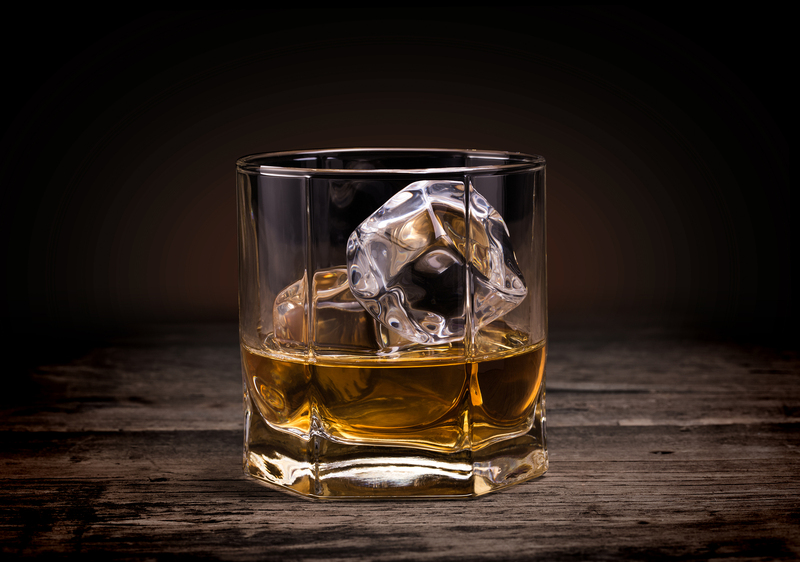 According to the National Council on Alcoholism and Drug Dependence, genes are responsible for about half of the risk of addiction and dependence on alcohol. This has been supported by studies on twins raised in different environments and adopted children. Even if identical twins are raised in an entirely different environment, if they have family members (especially biological parents) with AUD, they are significantly more likely than others to develop the disorder themselves. Meanwhile, children who have adopted family members with AUD tend to have no higher risk than children with no alcohol addiction in the family. In a way, all human beings are genetically predisposed to addiction because of the way our brains work. Using alcohol and other intoxicating substances “rewires” the brain as the artificial rewards teach us that the substance is a good thing, increasing the chance that we will engage in that behavior again. If our environmental situation makes that reward even better, we are more likely to consume it again and again until dependence develops. For example, if a person has an unpleasant home environment due to poverty, abuse, or other factors, and alcohol allows that individual to escape from the pain caused by that environment, that is an additional reward that can be associated with alcohol consumption. Scientists recently discovered that the brain’s production of serotonin probably has an effect on how likely it is that someone will fall victim to AUD. Serotonin is a neurotransmitter than relays messages in the brain. It has many functions, but it is most often spoken of in terms of depression and anxiety. An imbalance of serotonin can cause mood disorders like clinical depression, anxiety and panic disorders, and obsessive-compulsive disorder. According to the National Institute of Mental Health, 20.8 percent of adults in the US will suffer from a mood disorder at some point in their lives. That leaves a lot of people susceptible to addiction. In general, serotonin is closely linked with maintaining a positive sense of self and emotional wellbeing. If an individual lacks this, turning to substances like alcohol to feel better can seem like an easy solution. Addiction can also occur when people don’t feel that they’re strong enough or capable enough to fight dependence or make it through life without the help of an addictive substance. Pleasure sensor reactivity: Differences in the brain’s pleasure sensors affect how much pleasure a person experiences from consuming alcohol via endorphins and other reward responses. Withdrawal sensitivity: Some people naturally experience more intense withdrawal symptoms than others even if they’ve been drinking about the same amount for a similar length of time. Metabolism: Some individuals lack certain liver enzymes, which alters the way the body metabolizes substances like alcohol. This can result in unpleasant reactions to any alcohol consumption. Sweet tooth: Researchers have found a link between cravings for sweet and sugary foods and AUD. Those who consume sweets for the sugar rush may later do the same with alcohol. Sense of smell: A strong sense of smell or a preference for the smell of alcohol can cause additional pleasure responses to alcohol and more intense cravings at the odor. Impulse control: Some people are naturally better at controlling their impulses than others. A lack of this ability is associated with many different addiction disorders. Environmental factors that increase the risk of problem drinking and addiction range from having watched parents regularly abuse alcohol to the simple availability of alcohol in your community. One of the most important contributors to alcohol abuse, however, is likely your family and social circle. The attitudes about drinking of those around you have a profound impact on how much you drink. For example, women tend to drink significantly less than men overall. This led to a survey presented at the Annual Meeting of the American Sociological Association to find that married women drink more than divorced women. This suggests that just the presence of men causes women to drink more and/or keep more alcohol in the home, and the more you drink, the more likely you are to develop an alcohol-related disorder. Scientists also suspect that excessive drinking, especially while underage, can damage the part of the brain that controls impulses. People with poor impulse control are more likely to drink even when it’s not a good idea or could be dangerous, and have a more difficult time quitting when their drinking becomes problematic. In a study on female twins, researchers found that the earlier age at which a girl had her first drink, the more likely it was that she would develop AUD. It’s also easy to see the link between stress and addiction. Stress can come from adverse experiences during childhood or from negative life experiences as an adult. Studies using monkeys found that the animals raised by their peers drank twice as much alcohol as those raised by a mother. Furthermore, just the belief that alcohol will reduce stress in one’s life can lead to addiction, especially if the behavior reinforces the belief. Those recovering from AUD who have relapsed often cite significant or recurring life stressors as the reason they went back to drinking. However, both the development of an addiction and risk of relapse are reduced if the individual has a strong network of social support. Although genetics play a significant role in a person’s chance of developing AUD, this doesn’t mean that someone’s fate is sealed even if everyone in that person’s family is addicted to alcohol. Personal behavior, environment, and social support also play a large role. However, anyone with a genetic predisposition to AUD should exercise caution around the use of alcohol, such as by avoiding binge drinking and setting personal limits on how often drinking happens. Keep an eye out for signs of a drinking problem, and seek professional help if you think you have a problem.